DOT on June 3 issued an Advanced Notice of Proposed Rulemaking seeking public comment on the New Starts rating and evaluation process–particularly regarding improvements to the calculation of "cost effectiveness," as well as whether broad public benefits, such as economic development, land use, and environmental impacts, should be measured when evaluating proposed transit capital projects. Listening sessions, including one just held at the APTA Rail Conference, are being convened around the nation. In addition, comments can be submitted via www.regulations.gov by August 2, 2010. More information can be found on the FTA website. The 2010 APTA Rail Conference in Vancouver, BC, was a great success, thanks to more than 1,200 participants, over 200 exhibitors, and leaders including Administrator Peter Rogoff of the Federal Transit Administration and Deputy Administrator Karen Rae of the Federal Railroad Administration–all hosted by TransLink and CEO Ian Jarvis. 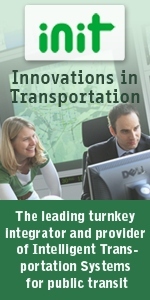 For more details, look to the June 21 issue of Passenger Transport. At APTA's 2010 International Rail Rodeo in Vancouver, BC, Denver's Regional Transportation District (RTD) took home the Rail Transit Achievement Award and first prize in the Operators Competition. The Maintainers Competition was won by a team from the Los Angeles County Metropolitan Transportation Authority. Register now for the 2010 Transit Board Members Seminar and Board Support Employee Development Workshop, June 17-20 in Eugene, OR. Professional development sessions focus on achieving a new level of excellence in overseeing high-quality services and organizations in the board members' governance roles. Educational and exchange workshops and opportunities are offered for transit board members and board support staff. Rep. Corrine Brown (D-FL), chair of the House Subcommittee on Railroads, Pipelines and Hazardous Materials, shared her enthusiasm for high-speed rail in the Capitol Hill newspaper Roll Call. A New York Metropolitan Transportation Authority rail operator answered questions about his job submitted by readers of The New York Times--which also featured an article on smartphone-based public transit maps. DC Streetsblog discussed a recent University of Vermont study analyzing the effects of the local media on the passage or defeat of state-level proposals to increase the motor fuels tax.